A favourite among bassists looking for portability and even frequency response in a low to mid volume application, the SM112 is precise, punchy and tuned for an even response. While the cabinet can be EQ’d to sound believable in any genre, it shines when you want a natural, organic tonality. Acoustic bass, acoustic bass guitar, basses featuring expensive tone woods and vintage instruments all reveal their subtlety and nuance when played through a Trickfish head and the SM112. And if you need a little more oomph add a second cab for the added cone area and free coupling gain*. 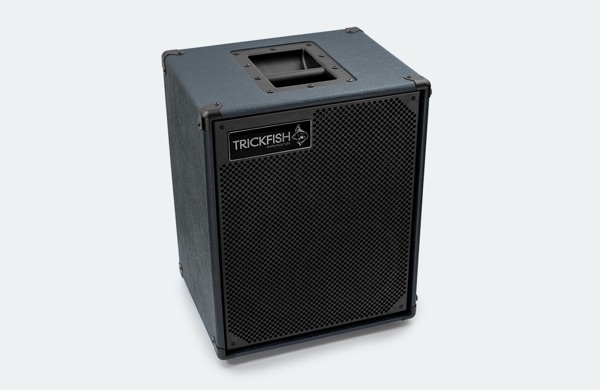 Intentionally designed to reproduce the complex tonal characteristics of an Acoustic Bass or Guitar, the TF110 or “Perch” as we call it also doubles as a fantastic, low profile light-to medium duty electric bass speaker cabinet. The cabinet features an Eminence 300W (music program), 10” Neodymium speaker and a 100W silk dome, Neodymium tweeter. The 8 Ohm cabinets are constructed from void-free 15mm Baltic Birch and covered in a proprietary, 22 oz. “Sharkskin” vinyl. The cabs feature metal corners and a removable, acoustically transparent, cloth grille that adds a touch of beauty to the sophisticated design of the cabinet. Transporting the Perch is simple and comfortable with the heavy-duty, yet infinitely comfortable leather handle. TF410 - Special order item. 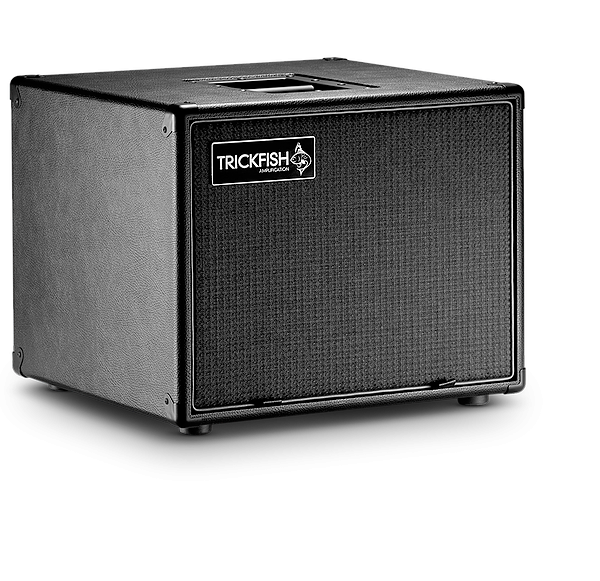 The TF410 is the next gen Big Mouth cabinet that features the new Trickfish proprietary 400W neodymium 10” drivers, 18mm void-free birch ply cabinetry and a roadworthy 16 gauge steel grille. The Ferrite to Neo transition drops the weight down from 96 lbs. to highly manageable 74lbs. Due to the improved efficiency of the drivers, the MAX SPL has increased by 3db and the more forward tuning of the driver enhances intelligibility. The cabinet is rated at 1600W peak power handling.